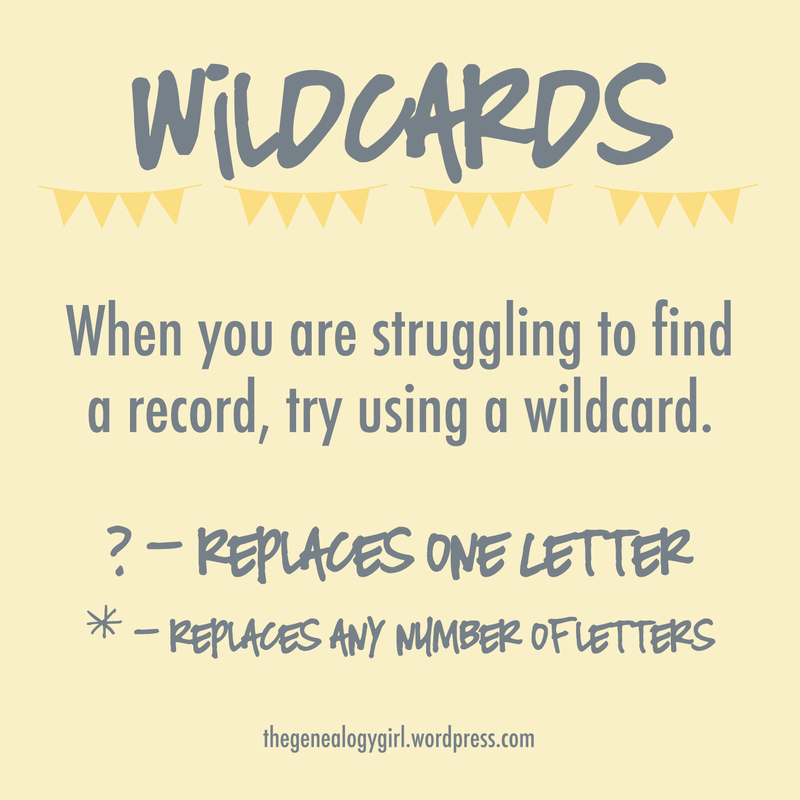 If you are struggling to find a record, try using wildcards in your search terms. Many websites allow wildcards and they are usually the same. A ‘?’ represents one letter and an ‘*’ represents any number of characters. This can come in handy when a name has been misindexed, misspelled on the original record, or if a name was spelled various ways during a person’s life. Maffit and Moffit can both be found when M?ffit is searched. Vickers and Vicars can both be searched with Vic*rs. It is important to learn how wildcards function in the website you are using. For instance, ancestry.com allows wildcards in your search but they don’t work with soundex matches, only exact or ranked searches. You can learn more about wildcards on ancestry.com here and familysearch.org here. I use wildcards all the time — greatest time saver ever! Hi Cathy! I agree, they are a huge time saver. I did not know about “Wildcards” I learn so much from your site! Thank you!